Today is the winter solstice, which means that this blog has now been around for one year. Overall, I’d say this first year has been an enormous success. I wasn’t sure exactly how this experiment was going to turn out when I started, but so far it’s been very successful, and I’ve managed to accomplish pretty much everything I initially intended to do with it and more. Credit for that success goes mainly to my enthusiastic and devoted readership, without which I could never have kept this thing going. So thanks, everyone, for reading, commenting, and otherwise supporting this project. I have no intention of stopping it anytime soon, so keep an eye out for new posts. 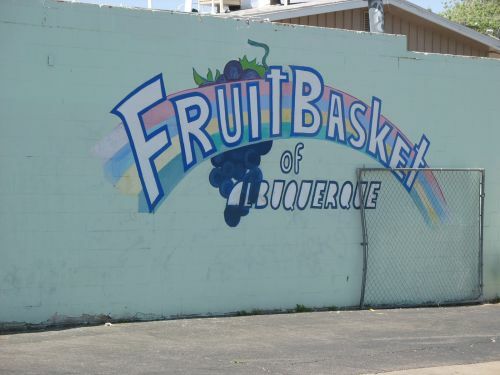 As promised, here is the paper I wrote on the history and geography of Albuquerque. Due to the constraints of the assignment, I wasn’t able to go into nearly as much detail about the history as I would have liked, and I may do some more posts on the subject in the future. Anyway, enjoy! 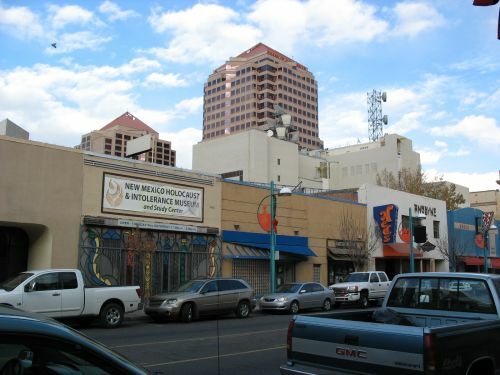 Albuquerque is the largest city in New Mexico, with a municipal population estimated at approximately 500,000 people and a metropolitan area population estimated at approximately 800,000. 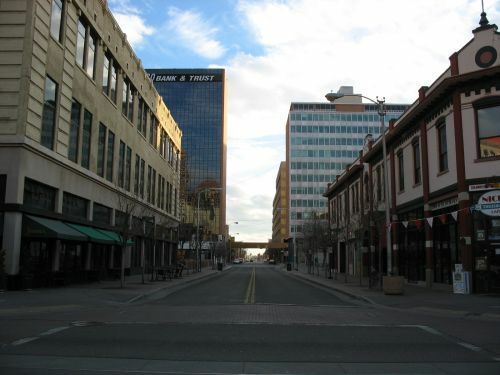 Since the whole state of New Mexico has slightly less than two million people, this gives the Albuquerque area nearly half of the state population. 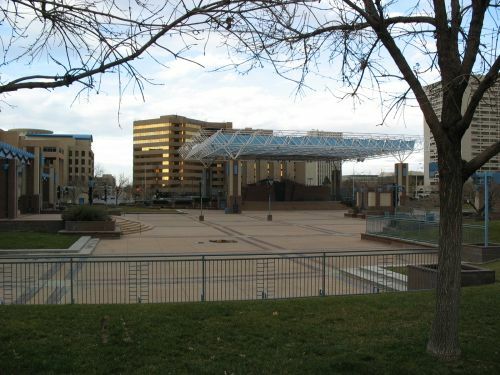 Albuquerque thus has a very prominent place within the local hierarchy of cities and serves as the main economic and cultural center for the state of New Mexico. 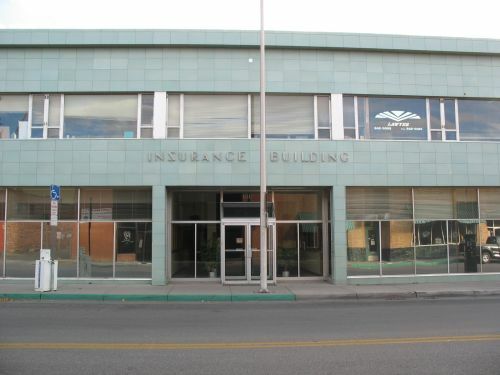 It is, however, one of the smaller cities in the southwestern US, and many highly specialized goods and services associated with large cities are not available in Albuquerque and must be sought in Denver or Phoenix, both of which are much larger. 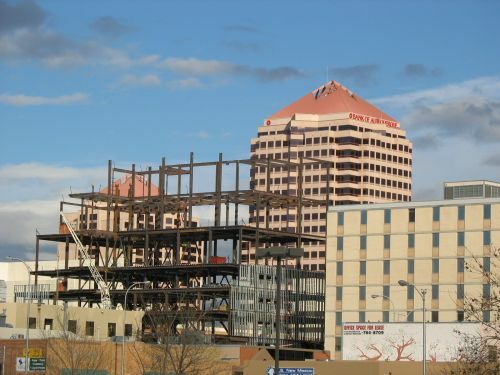 A strategic location has been one factor in Albuquerque’s rise to prominence. It lies in the valley of the Rio Grande, which flows south through the center of New Mexico to El Paso, Texas, where it curves to the southeast and continues to the Gulf of Mexico. The Middle Rio Grande Valley, as the portion of the river in central New Mexico is called, is a fertile agricultural area that has been used for irrigated farming for hundreds of years. 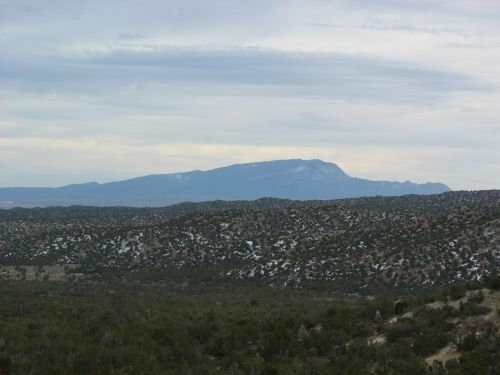 On both sides of the valley rise flat mesas, which on the east side gradually slope up to the foothills of the Sandia and Manzano Mountains. 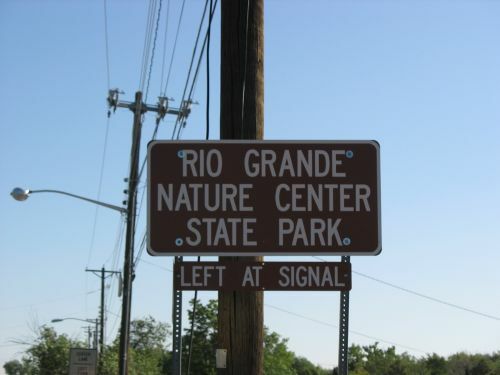 The Rio Grande Valley forms a natural transportation corridor from north to south. The Middle Valley in particular is centrally located within the state and is conveniently close to many basins and mountain ranges which contain significant mineral resources. 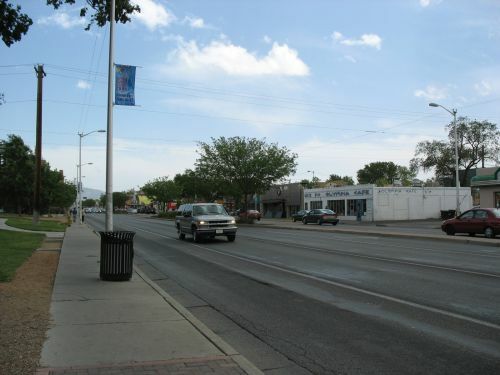 Albuquerque sits directly west of a major pass through the Sandia Mountains, known as Tijeras Canyon, which provides a connection between the Rio Grande and the Great Plains to the east and makes it a key node in the regional transportation system. Many theories of city location based on transportation networks and proximity to resources would easily predict the development of a major city in the Middle Valley. 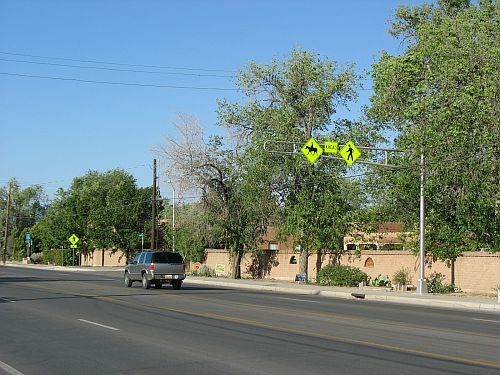 The specific location of Albuquerque within the valley, however, is harder to account for by reference to theoretical considerations. 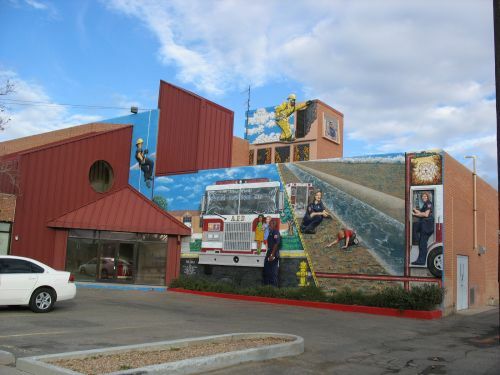 To explain the details of the history of Albuquerque it is necessary to appeal to a series of contingent historical factors that ended up directing economic growth to Albuquerque rather than to other communities in the state or region. When Governor Cuervo established the villa or chartered town of Alburquerque in 1706, it was only the third in the whole colony. Farmers in New Mexico tended to spread out along the rivers rather than congregating in towns or villages. The colonial government, however, preferred a more concentrated settlement pattern, both for defensive purposes and to keep an eye on the colonists. In his official dispatches to the viceroy and king, Governor Cuervo was claimed that he had followed all the regulations in establishing the new town. He said that he collected thirty-five families, representing 252 people, and gathered them together around a newly marked out plaza and streets, where they soon constructed houses and a church and began construction of government offices. 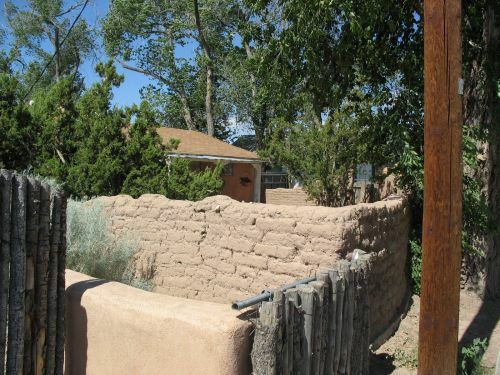 He also reported that he had ordered ten soldiers from the Santa Fe presidio to be stationed at the new town, which was vulnerable to raids by the Navajos and Apaches. Little of this was true. 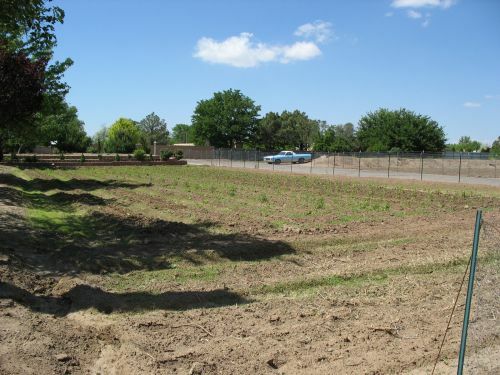 It is clear that something happened at the site of what is now Old Town Albuquerque in 1706, but evidence from later investigations shows that it bore little resemblance to what the governor described. Interviews with area residents just a few years later indicated that there were no more than nineteen families involved, totaling about 100 people, and that far from building new houses along streets radiating out from a marked and surveyed plaza, they were simply granted lots in the general area. Cuervo did send the ten soldiers, and they may have been the main factor in inducing the new settlers to come to the fertile but relatively vulnerable Middle Valley. There was some sort of ceremony and swearing of oaths on the part of the new settlers, and construction of a new church probably did begin, but there is no evidence that any surveying of a plaza, streets, or town boundaries was done. 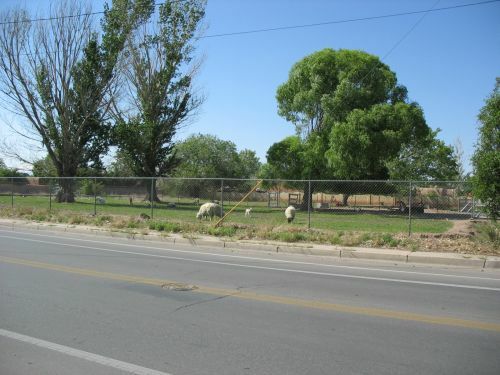 The town was established on paper, and given a name, but the actual settlement pattern was still rural and agricultural, as was standard throughout New Mexico. Alburquerque only developed into a relatively aggregated town around a central plaza very slowly over the course of the eighteenth century. In the early nineteenth century Alburquerque remained overwhelmingly agricultural, with an economy based on irrigated subsistence farming in the valley and grazing of livestock, especially sheep, on the mesas. It was located within a bend where the river curves to the west before curving back east and continuing on its southerly path. 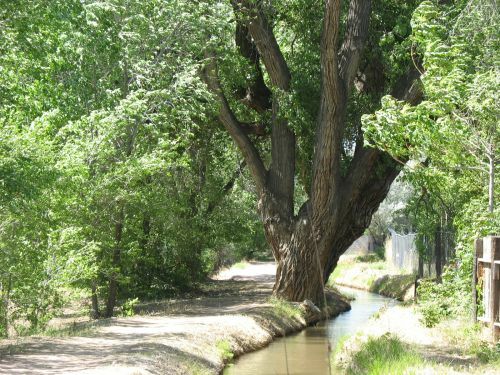 It was also along the Camino Real, the main road through the Rio Grande Valley connecting Santa Fe to Mexico City. 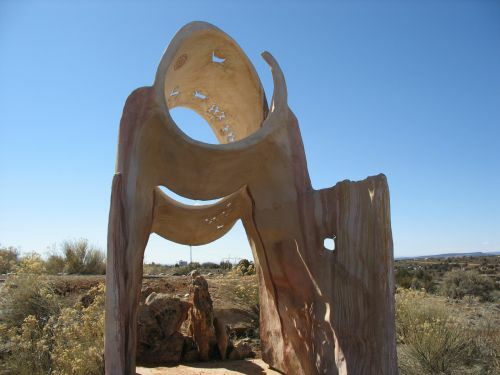 As a result, everything and everyone that traveled between Mexico and northern New Mexico passed through Alburquerque. The plaza and church gradually acquired the set of streets and surrounding houses called for in the official plan for a villa. Under Spanish rule New Mexico was very poor and isolated, as royal policy forbade any trade with rival colonial empires and required New Mexican farmers to sell their products only in Mexico, which had to be reached by the long and arduous journey down the Camino Real. Manufactured goods were very expensive. Alburquerque’s strategic position on the river and on the Camino Real did it little good, since the volume of trade was so small. That changed in 1821, when the Viceroyalty of New Spain declared independence and became the Republic of Mexico. The new republic immediately repealed the old restrictions on trade. This led to the opening of the Santa Fe Trail by American traders who led mule trains from St. Louis to Santa Fe, where they found a huge pent-up demand for manufactured goods and were able to make large profits, first within New Mexico itself, then in the much larger and wealthier markets of Mexico proper, which they could reach from Santa Fe by following the Camino Real. Alburquerque finally got to take advantage of its strategic position and soon began to prosper, although it remained a very small town. 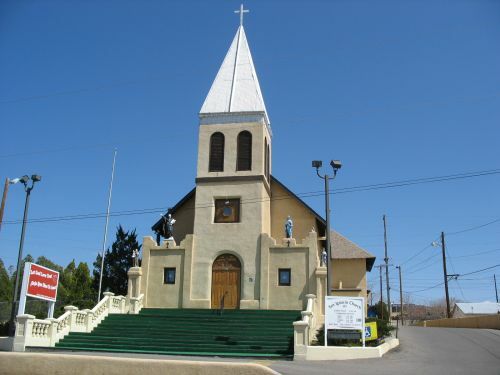 A census conducted in 1822 showed 2,302 inhabitants for the whole Alburquerque district, consisting of most of the Middle Valley in addition to the town itself. In the 1840s came war between the US and Mexico. New Mexico was conquered without significant resistance by the US Army in 1846. More and more Anglos from other parts of the US began to migrate into the territory, but they were still vastly outnumbered by the local Hispanic population. The major turning point in the history of Albuquerque came in 1880 when the Atchison, Topeka & Santa Fe Railroad arrived. The small but ambitious Anglo population in the territory had long been pushing for the railroad to come, seeing it as a path to growth and prosperity. Once the tracks reached the Middle Valley the plan was to split into two branches. One would continue down the valley to El Paso, and the other would cross the river and head west across western New Mexico and Arizona to California. The decision of where to put the junction depended on the best location for a bridge. 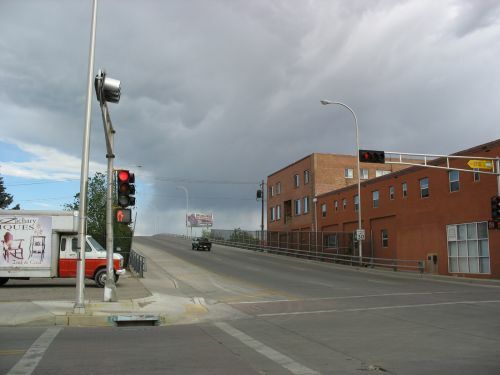 The best physical location for a bridge was at Bernalillo, a few miles upstream from Alburquerque, but the railroad was unable to negotiate an acceptable price for the land it needed. The next best location was a few miles south of Alburquerque. 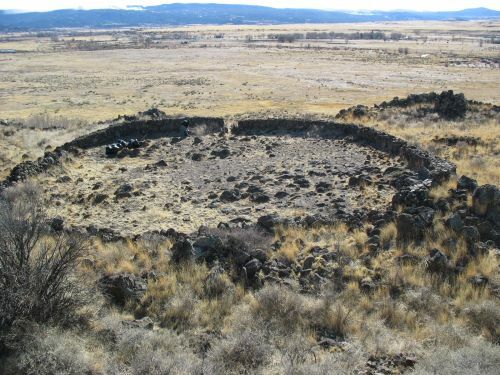 The main choice was whether to put the facilities there or to put them in the vicinity of Alburquerque. 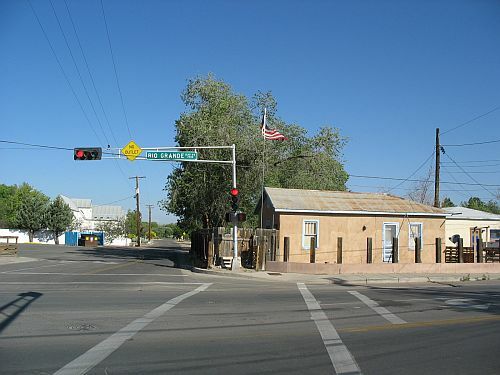 The civic boosters in Alburquerque managed to persuade the AT&SF to put its depot and yards at a location about two miles east of the plaza. The railroad was unwilling to run tracks to the existing town, preferring the straighter path along the eastern side of the valley, but the town was willing to go along with this in the expectation that the new town that developed near the tracks would develop in tandem with the older area around the plaza, with subsequent development soon filling in the space in between and the ultimate result being a sort of “bi-polar” city. With all these arrangements made, the tracks arrived at the depot site on April 5, 1880. 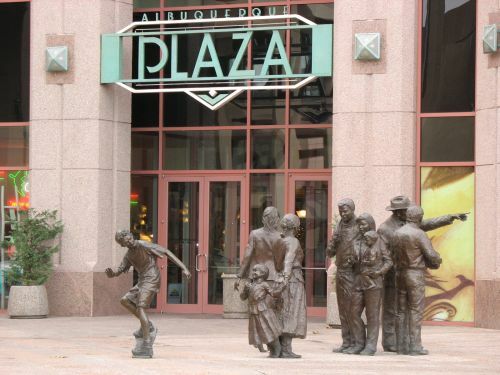 Once the railroad arrived and what soon became known as “New Town” (in contrast to “Old Town” around the plaza) was platted, Albuquerque, now consistently spelled with only one r as a result of the Anglo population’s trouble pronouncing it, grew rapidly. New Town was laid out in a grid pattern and the massive influx of Anglos from the East and Midwest soon resulted in a boom in commercial and residential development which mimicked the styles of architecture common elsewhere in the country rather than the traditional adobe style found in Old Town. Prominent local businessmen soon began to speculate in land, which resulted in numerous additions to the original townsite around the depot. Meanwhile, Old Town stagnated. The bi-polar city never really materialized; all the growth went to New Town, and the area in between Old and New Towns along Railroad (later renamed Central) Avenue filled in very slowly. The two parts of town were connected by a streetcar system, initially mule-drawn, later drawn by horses, and starting in 1904 electrified. The owners of the streetcar company tried to capitalize on the rising land values from proximity to new streetcar lines to speculate in real estate, but they were not very successful at this, and by the 1920s the company was struggling to compete with the newly popular automobile. The city government refused to either subsidize it or take it over, so it went out of business in 1928. 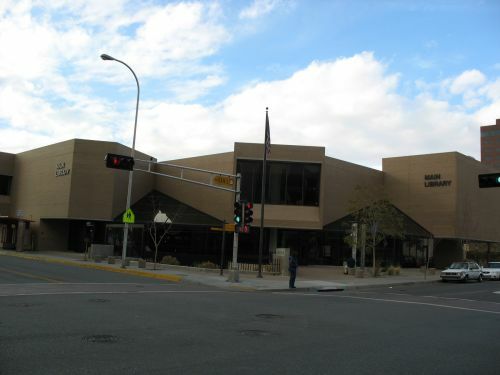 One of the most important factors in the growth of Albuquerque was the US government’s decision during World War II to build an air force base and many other facilities in the area. 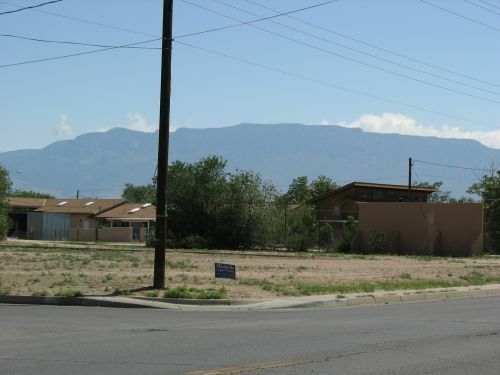 In the post-1945 era sprawling middle-class auto-oriented subdivisions spread out across the East Mesa all the way to the foothills of the mountains, and began to spread over the West Mesa as well. The land occupied by these subdivisions had been totally uninhabited rangeland, which the city annexed as development spread, so the vast majority of the metropolitan area now lies within the city limits. By the late twentieth century, the building of Interstates 25 and 40 right through the center of the city further encouraged the sprawl of residential subdivisions and contributed to the decline of Downtown (as the original New Town came to be known). Misguided urban renewal projects that put up big concrete plazas and towers did not help. 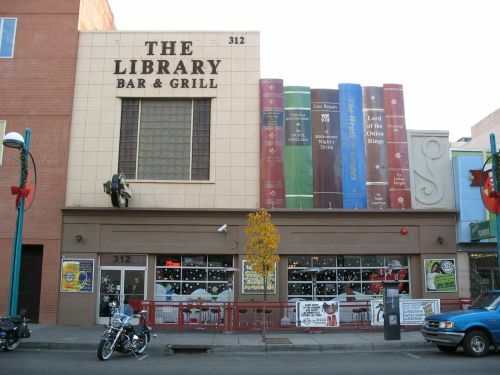 In recent years, however, an aggressive effort at Downtown revitalization has been successful in attracting new development. A state effort to establish a commuter rail system on the old AT&SF tracks has been quite successful as well. 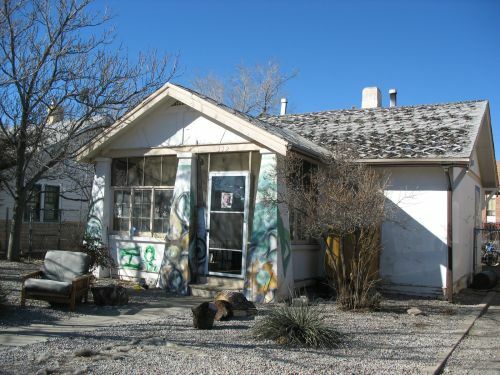 The internal development of Albuquerque mostly occurred very rapidly, and it does not closely fit the predictions of any of the varies theories of urban development based on older industrial cities in the East and Midwest. Concentric zone theory does in a general way apply in the sense that development generally proceeded out from the Downtown area, especially to the east but to some extent to the west as well, with the wealthiest moving the furthest. 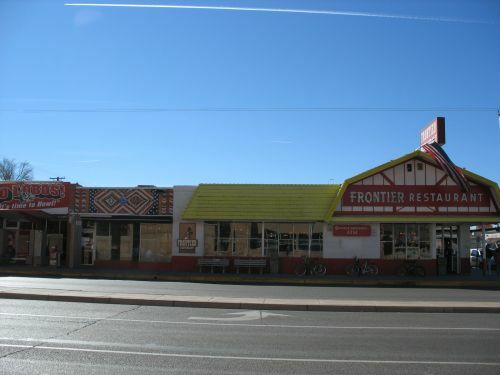 Sectoral theories have more limited relevance, although patterns of development on the East Mesa have tended to take after New Town while development in the valley has been more like Old Town. 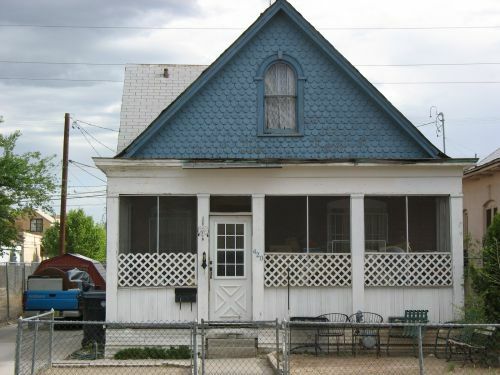 Overall, while some theories of urban structure and location do shed light on the history of Albuquerque, contingent historical factors have had more influence on the development of the city’s built environment over its long history. One of my papers this semester was on the history of Albuquerque, specifically in relation to theories of city location and form drawn from urban geography. I’ll post the full paper later, but for now I just want to say a bit about the main source I used, which was Marc Simmons’s book Albuquerque: A Narrative History. Simmons is one of the most prominent historians of New Mexico, and the book is a very good summary of the whole sweep of Albuquerque’s long history. As the subtitle implies, the focus is narrative, and rather than a long, dry list of decisions made by developers and politicians the book is mainly a series of interesting stories that shed light on what life was really like in Albuquerque during various periods. Simmons is something of an old-fashioned historian, not given to theorizing, so there is very little attempt to put any of this into an explicit explanatory framework. That’s okay, though, because the information is presented clearly enough that it could easily be used to evaluate its fit with a variety of theoretical approaches. 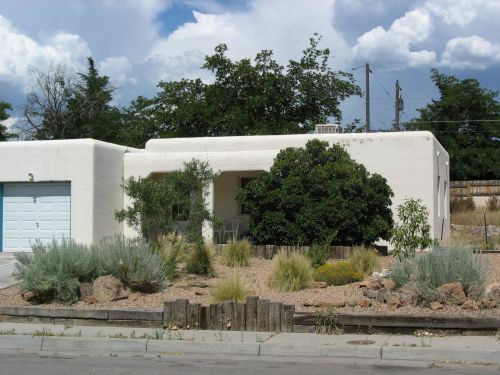 Simmons is a specialist in the Spanish colonial period, and his coverage of Albuquerque’s history is therefore more detailed and focused for the early period, from the establishment of the city in 1706 to the coming of the railroad in 1880. The documentation of this period is pretty scanty, but Simmons makes excellent use of it. One of his major claims to fame as a New Mexico historian is his discovery that Governor Francisco Cuervo y Valdés cut a lot of corners when he founded Albuquerque, though he claimed to have followed all the applicable laws to the letter when he wrote his dispatches to his superiors. Before Simmons, historians had generally taken him at his word, since his letters were pretty much the only source available on the matter. Simmons, however, discovered records of an investigation into Governor Cuervo’s various claims about his accomplishments that shed new light on this and other issues. Conducted just a few years after he left office, the investigation involved extensive interviews with Albuquerque residents who said that the founding of the town basically consistent of a few families being granted land in the area and ten soldiers being sent to protect them. This is in stark contrast to the way a town was supposed to be founded, and the way Cuervo claimed to have founded this one. 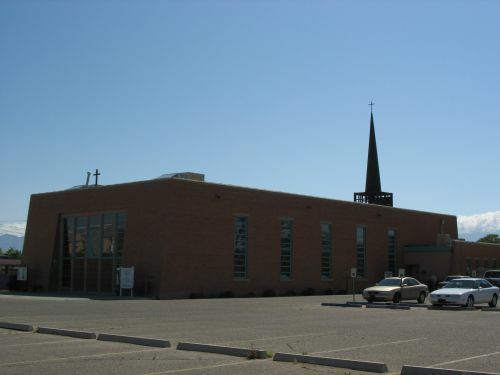 A plaza, streets, and boundaries were supposed to be surveyed, and the people were supposed to build and live in houses along those streets, near a church facing on the plaza. 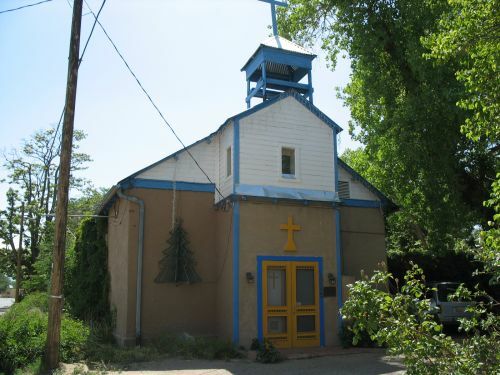 The church does seem to have been built, but aside from that not much else happened to change the Albuquerque area from a rural agricultural valley to a town of any sort. Simmons describes these events in great detail, and this is probably the most interesting part of the book. As he gets to the later periods, he seems to rely very heavily on newspapers as primary sources, which gives him a lot of interesting stories to tell but doesn’t do much to place them in context. He kind of rushes through the whole twentieth century at breakneck speed after lingering for a while on the period between 1880 and 1900, when the new Anglo railroad town around the train station began to outshine the old town around the plaza. For my specific purposes in writing this paper it would perhaps have been better for the book to have paid more detailed attention to the period after World War II, when the city grew enormously and changed into the sprawling monstrosity it is today, but it’s not like I’m the only potential audience. One issue is that the book was written in 1982, and while not a whole lot has changed since then in the grand scheme of things, it would be interesting to see an updated account putting more recent events into perspective. Anyway, despite those small quibbles, this is a very good introduction to the history of Albuquerque, and I’d definitely recommend it to anyone interested in the subject.